So far we've covered French Toast and Toffee Coffee from Perry's new Escapes lineup, but now it's time to try my favorite of the four flavor samples I received. Ok, well this is a bit of a cheat because I was telling myself I should wait until the next day to photograph and sample this one properly.... but I've been thinking about it for several hours and I just cant get it out of my brain. I need to know how this tastes. Munch Munch Munch. Oh, it tastes delightful. It's funny how I didnt even eat mint ice cream before the blog and now I love it, especially the good ones, and this is one of those. From the description you may have guessed this as a thin mint clone and it definitely is to some degree. 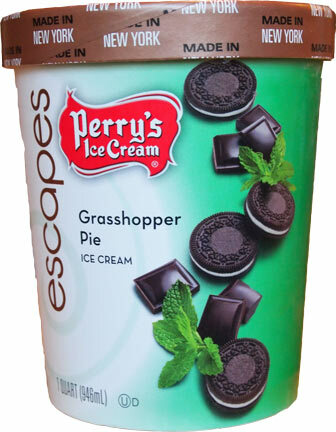 It's not a straight up thin mint flavor, but it's more complicated then just mint cookies & cream. It's in a nice happy middle ground between the two. What's the difference? It's the dark wafers giving a thin mint flavor while the scraggles of fudge swirl everywhere are more milk chocolate than dark chocolate. It creates an interesting dynamic and you've got thumbs up from me. To be honest, I had trouble stopping my first sampling. I had already had my dinner, there was no need to go on, but it was just hitting the spot. 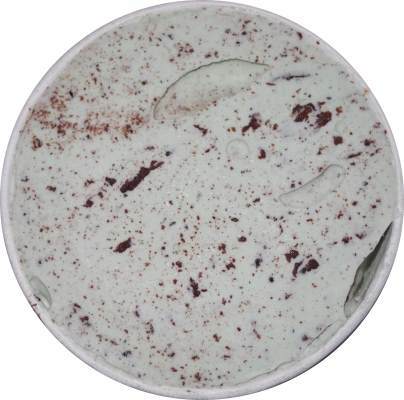 It's a fairly dense ice cream without straying to far in to super premium range. That base then does a good job of staying together and conveying the thin mint flavor. It's not melting away or getting too milky or creamy, it's just right where I want it to be for this flavor. I know that's a little vague but I'm a firm believer that not every texture fits every flavor. Tell me your story on different levels, not just one. 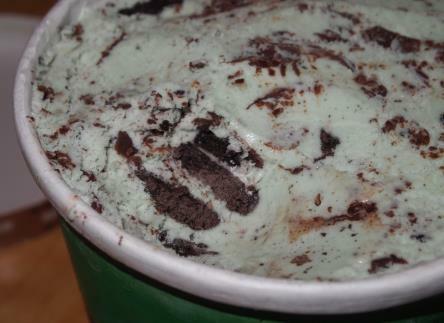 Now that's a proper mint ice cream photo! On Second Scoop: You may think I'm over analyzing this flavor but here me out as to why I think it's one of the best out there in terms of chips and cookies. See, there are lots of ways this could have played out, but rather than there being wafers crumbs everywhere, we have bits of fudge swirl everywhere. And not chunky or chips, just bits of fudge swirl. For the most part, there are big cookie hunks and the occasional small chunk, but no crumbs. This changes up the flavor profile and gives us a unique take on a tried and true classic. I am totally enjoying this one. Nice job. Final Scoop: My daughter snagged the last of the quart and she approves. Her comment says it all. "I really liked how big the cookie chunks were". That's the way it should be my dear. Ha, I thought that way for a long long time, always a fan of mint gum and candy canes and not much else. Maybe I can blame York Peppermint Patties. I love mint ice cream personally. I wish someone would pair up with After Five mints and make a ice cream based on that. Walgreens had an Andes flavor that would have been close... only thing recent I can think of is maybe Hersheys limited flavor with the mint filled cups. I must admit... This thing looks absolutely divine. 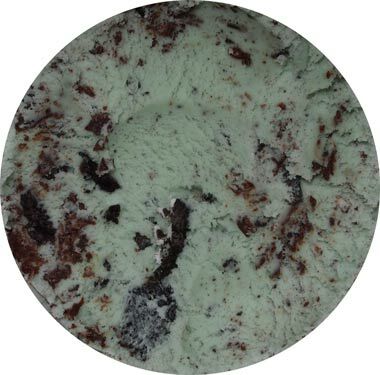 Mint has been and still is my favorite ice cream flavor. Yum yum!